Apropos my stitching up of Will Self's office, here is M.C. Escher's Hand With Reflecting Sphere, unwrapped into a Quicktime VR panorama. 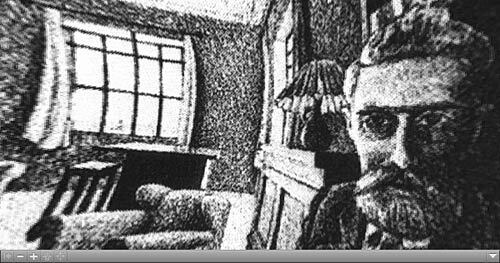 I think you might enjoy watching this lecture (around 1 hour) over at Princeton, titled "Escher and the Droste effect". In fact, why don't you make it a whole new Escher-related blog post. That lecture deserves more exposure than being hidden in some comment thread, and I'm sure I'm not the only one who is going to come up with interesting things to post. « Oh noes! I am rejected!